Storyline: It's just before the Mother's Day weekend. Laura Miller née Ames is housewife to real estate agent Michael Miller and stay-at-home mom to mid-teen Brandon Miller and twelve year old Ella Miller. Laura and Michael met immediately after she got her Architecture degree, she forgoing a career in favor of marriage and a family. Laura used to think that they as a collective were a team, but now feels the other three have all moved on without her, Michael always on the phone with clients, and the kids preoccupied with their own lives. The three have an expectation that Laura will always be there to do whatever they need done around the house without question. Michael has also placed her in a role that she does not want but feels that someone has to do in placing boundaries for the kids: bad cop. 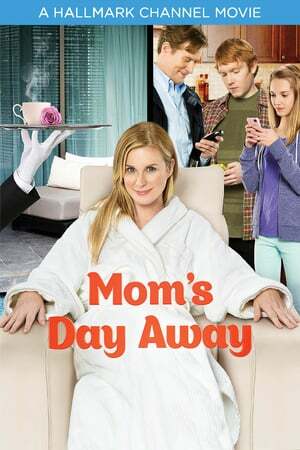 All three of her family members forgetting until she reminds them that it is Mother's Day weekend upcoming, Michael informing her that he has to postpone their long planned summer family vacation to Paris yet again for another year for a work issue, and she meeting up with her childhood best girlfriend Trish Danville lead to Laura coming to the conclusion that her family members take her for granted. Trish is leading the life Laura had long planned for herself, Trish traveling the world as an Architect, she on the road more often than she is at home. While Trish does lead an exciting life, she could have it all as she and her business partner Jason have also been dating for three years, he who wants to marry her if she would only say yes. With Trish's arrival back in town, Laura, in a rare act of defiance with a last straw issue with the family, decides to hang out with Trish for a girls' day off to pamper themselves, which for Laura is easier said than done. Laura's arrival home at the end of the day to find that nothing has changed leads to her, at the last minute, taking Trish up on an offer to accompany her on a weekend business trip to a resort to meet with the resort's owner, client Don Holland. Laura's time away on this Mother's Day weekend, which allows her truly to see Trish's world up close and personal for the first time, gives all the Millers and Trish a clearer perspective of their lives and what they truly want for themselves, the Millers wants also in the context of their family collective.